Well, after a long hard fight with Auri, I won the rights to be the author of probably the most interesting blog post in the #12 Day Series here at Manga Toritsukareru Koto. Let’s begin! Want to decapitate someone who has been annoying you? Or annoying your friend? Perhaps you’ve been magically transported to Attack on Titan world and desperately need some help to survive? Well, you’ve picked the right post! I, Nairne Nebulae, Master Decapitator Instructor, have prepared the Guide for your survival! So read well, and take notes, for you will definitely need it. This guide will not deal with blunt weapons, because, well, that’s an advanced level and we’ll get to it later. Now, chances are, that if you’re fighting a Titan, you’d be needing the special something that can make a difference between life and death. 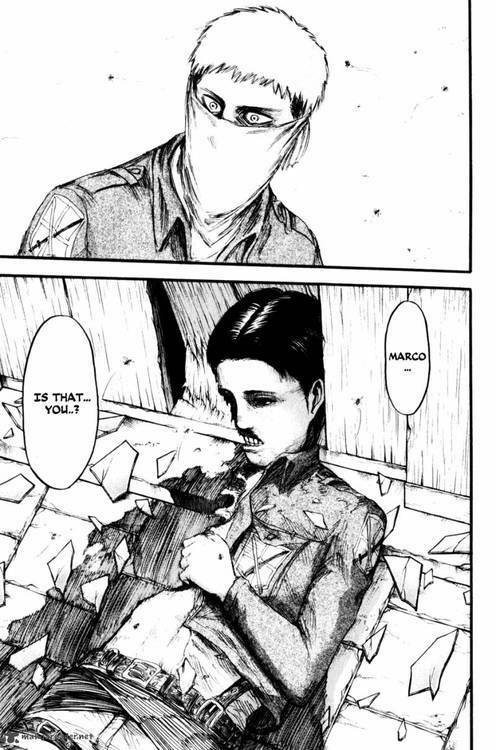 Vertical Maneuvering Gear (Refer Chapter 23 of Attack on Titan for more), is a wonderful device invented for, you guessed it, vertical maneuvering. If you are lucky and happen to be a Titan, then all you need is yourself. Which unfortunately implies that you’ll have stinky breath all day, coupled with terrible looks. But, hey, on the bright side, at least you can’t forget your weapon for decapitation. Like I said, bad breath. 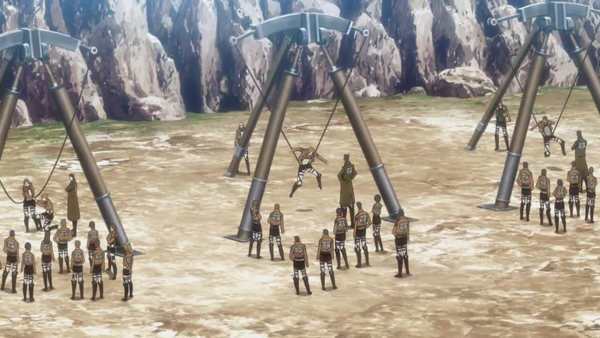 If you’ve been in the AoT world for a while, you’ve got it good since you’ve probably trained for these already. On the other hand if you just dropped in, WITHOUT even a little training or general physique, I have one helpful suggestion. Hide. 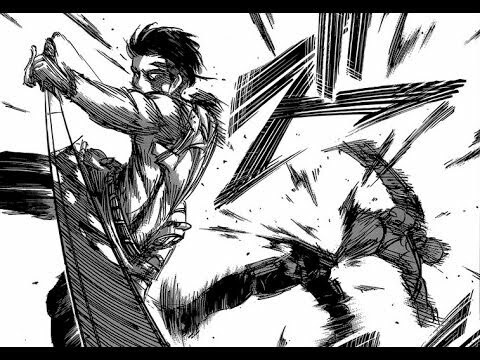 Now, for all those who aren’t here for the AoT problems, then you probably have time till you decapitate your mark. Learn from the manga and set up a course for training. It’s essential guys. Because you might just get transported to the manga or your mark might bust out some martial art moves and get you good. A miniature version should work as well, I’m sure. Also get a training partner. Possibly someone who doesn’t like you, because then you’ll actually get some training done. Again, if you’re a Titan, you have this by default. Man, we should just be Titans, seems like the way to live. Unless you cross paths with Levi. R.I.P my poor Titan. Anyway, talking about instinct. Now that’s something you should have by birth right? Wrong. You can develop an instinct for killing. First, make sure you’re in a country with laws that allow killing. Second, be rich, then even the laws are not the most easy, you’re still okay. Third, find some people to kill. Blood thirst is the next very important thing. Titans are guaranteed this by birth (? ), us humans, however, not so easy. Since most of the reader are not Titans, we got to develop a taste for this. Killing Titans is considerably easier since you don’t have particular feeling towards them. For humans though, you have to shut down your thoughts and let your body move. I, however, will assume that you have already got over that as you are now here, referring to this guide. Some things just refuse to die! You’ll cut off their hand and they’ll just come at you again. I know right?! You’d have thought they’d learnt their lesson, but no. Titans don’t. Gear up and develop some good stamina, perhaps enough to get to that 50m height to reach the neck. Mountain training would be beneficial. You have to get at least that high before you stand a chance. Killing a Titan isn’t easy, but it’s possible. Make sure to learn and take notes from the specialists. Killing humans isn’t that easy either. They have these annoyingly hard things called bones. However, decapitation is more effective on humans and even easier. Comparitively of course. Applicable only with regard to Section A Article 3. First, grab a hold of the human in question and bite off the wanted body part. Having a snack alone is ok too though. Not the best way for decapitation, but a strangely effective one if you’re of the right size. Burning the bodies is the best way to go at it. Attending funerals generally reveals your intentions when you end up not being able to cry. As an extension of Article 1 Section D, wiping the blood is essential so as to not be caught the very next day. Washing your desired choice of weapon would be the first thing to do. Then use disinfectants to clean it. Catching some disease is the last thing for a decapitator to die from. This is a perfect way to deal with the after effects if you are a Titan or a betrayer wanting to get caught. Pro Tip: Don’t run, walk only. That way, you’ll be able to deny that you were running away. Congratulations! Now you have all the basic courses of action to go about decapitation, all with pictures. The publisher wishes you the best of luck of in your future actions. DISCLAIMER: The publisher cannot be held responsible for any of the readers’ actions. Please think of a better excuse to use to escape the law. This is Nairne with Day 9 of #12DaysOfAnime! Feel free to help expand this guide by providing any suggestions below! Just a quick check here: Auri, you are still alive right? All this talk about decapitation has me worried quite a bit. So please check in….. Surprising as you may find it, Auri-chhi actually holds up great against me. I know right? It shouldn’t be possible, but…. Glad you found it useful! I kept the pictures as tame as I could! For a moment there I felt as if I’m reading a WikiHow article which has been transformed into an Otaku friendly version. Such detailed and organized work has to be expected from the new sensation, Nairne! Good job! Do report back with your observations and inferences! Yeah I remember reading an article with the title “How to take a dump” ._. Apparently it’s not a good idea to perform such experiments on a live rat if there are some sneaky family members in the house. Please. I read one about how to be cute like a chibi. Of course you do, it’s inevitable after all. Well Kei-san, the only advice I can offer is “be creative”. Pfft, what a great guide. It was a fun read, Nairne, but I miss Auri already. Auri you better get a grip on dude, Nairne is on fireeee! Glad you liked it Synne-chan. Now and forever Synne-chan, now and forever…..